At Manhattan College, our goal is to provide individual support to each student, so that he or she can reach their full potential. At the College, we pride ourselves on small classroom sizes where we can get to know students. 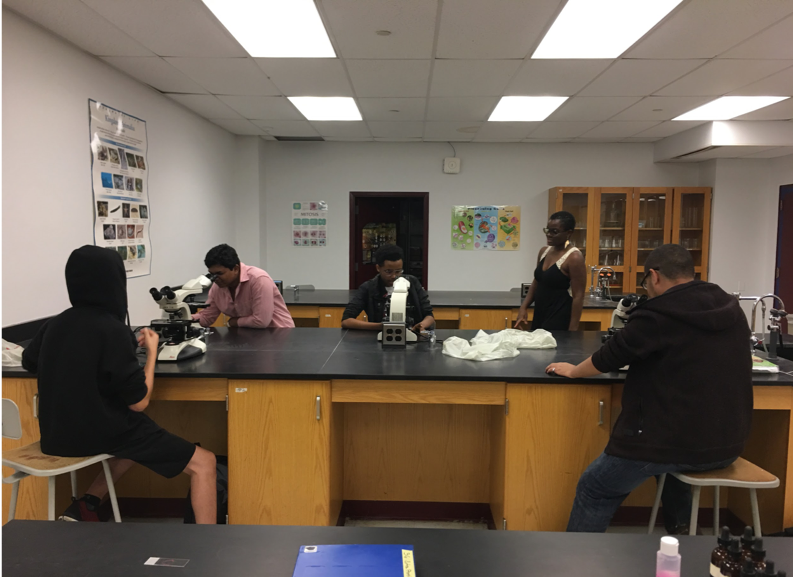 The Collegiate Science and Technology Entry Program (CSTEP) takes this priority one step further by offering individual, tailored support and small group sessions. CSTEP services are targeted over the four years at Manhattan College to provide participants with resources that can help them succeed in their studies and transitioning into their chosen career paths. Visit this page to learn more about CSTEP. Please contact Ashley Hernandez, ahernandez02@manhattan.edu, for more information about the CSTEP program. Academics: Advisor will assist student in selecting your academic major and courses. Personal: Adjustment to college life often presents many new problems for students. Advisement and mentoring helps students develop their self-confidence, identity and a positive attitude about learning. Career: The Opportunity Programs staff, along with the Center for Career Development, will assist student in making career choices. Career counseling can assist in selecting the necessary courses to prepare student for employment or postgraduate study. Furthermore, we will assist with graduate/professional school admissions preparation. CSTEP students come together to give back to our local community during our annual Day of Service. We partner up with a local middle school to increase awareness of STEM opportunities beyond high school. We aim to motivate and inspire young students to pursue a degree in the STEM field if that is where their passion lies. During the Day of Service, visiting students attend workshops to learn what it might be like to be a college student, receive a tour of the Manhattan College Campus, participate in fun labs and lastly, spend one on one time with CSTEP students to learn about their college experiences.